The necklace i receved for my daughter lived up to EXPECTATION.Aslo the quality of this nacklace is great. I bought this necklace for my daughter. She is 15 and not biologically mine but she chose me as her dad. When I gave it to her she read it. Then she said I love you too I'm putting it on and its never coming off. 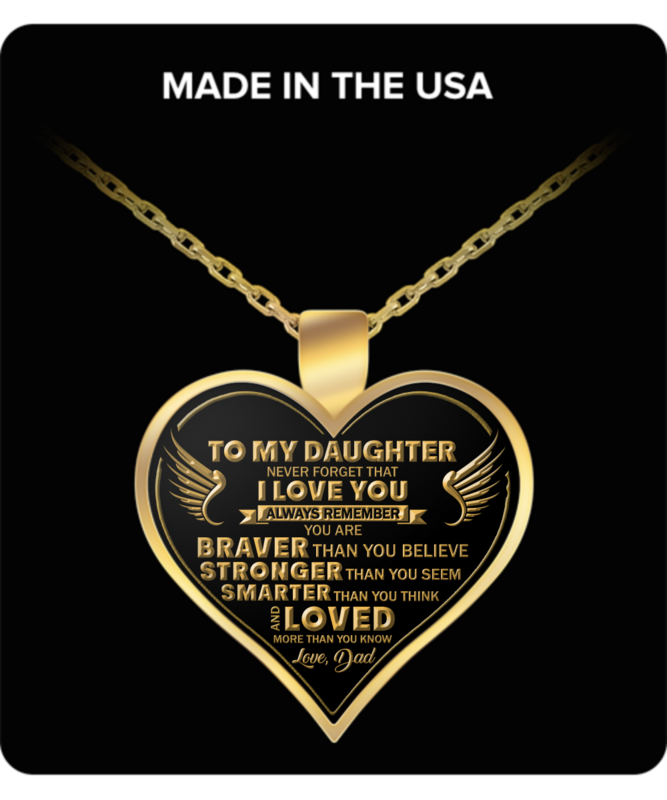 I love this necklace and will be ordering one for my youngest daughter too very soon. My daughters loved the necklaces. A perfect reminder of their fwther who is watching over them from heaven. Thank you.